Read a review of Number Talk, published by the Centre for SEN, Inclusion and Diversity, in ‘InTouch’, the Irish National Teacher’s Organisation magazine, by Mary O’Neill. ‘Number Talk is a recently published mathematics resource, authored by Ann Marie Casserly, Pamela Moffett and Bairbre Tiernan. Ann Marie and Bairbre are researchers/lecturers in the Centre for SEN, inclusion and Diversity. 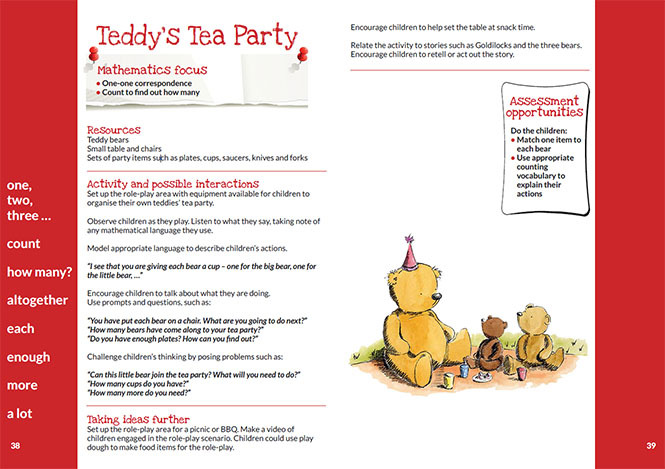 The resource aims to support teachers in their planning and teaching of early number. It focuses on how teachers may promote oral language and communication when developing early number and provides examples of how the specialised vocabulary of number can be introduced and reinforced through a range of engaging and interactive activities. Number Talk facilitatesmany opportunities to engage children in meaningful discussions about number, explain their thinking, and communicate their understanding. The resource includes a variety of teaching and learning strategies to support and enhance the development of key mathematical vocabulary. An example of one of the pages is included below. 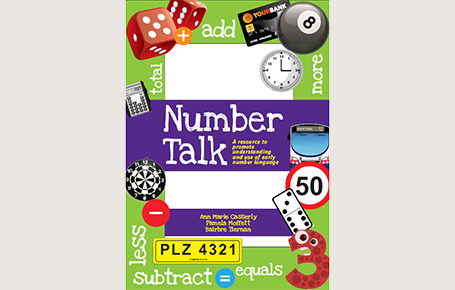 Number Talk is available from CSENID, St Angela’s College, Sligo.